If you think bats may be living in your building, now is the time to check your attic, eaves or chimney spaces and take action to exclude them. Bat maternity season begins April 15 and runs through Aug. 15, and during this time it’s illegal to block bats from their roost. 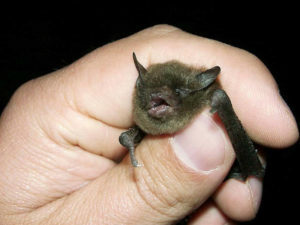 “This is a critical time of year for bats, when they give birth and raise their young,” said Terry Doonan, a Florida Fish and Wildlife Conservation Commission (FWC) biologist and mammal conservation coordinator. Exclusion guidelines on how to remove bats from buildings can be found at MyFWC.com/Bats. Materials and methods to exclude bats can affect the success of that process. For more information on how to conduct a bat exclusion, watch this YouTube video: How to Get Bats Out of a Building. Further details on how to conduct a legal bat exclusion can be found at Bat Conservation International and on the National White-Nose Syndrome Response Team website.